I have been using Screen Time Labs application to control my kids’ smart phone for many months. The app works well on my kid’s Samsung S5, but facing trouble on both ASUS. It works horribly on iPhone 5s and I patiently communicate with the company asking them all the possible solutions but so far it remains problematic. This has caused a lot of trouble between my kids and I since the restriction is not implemented as it should. Especially when the iPhone is blocked unnecessarily that I have to disable the app entirely to regain access. 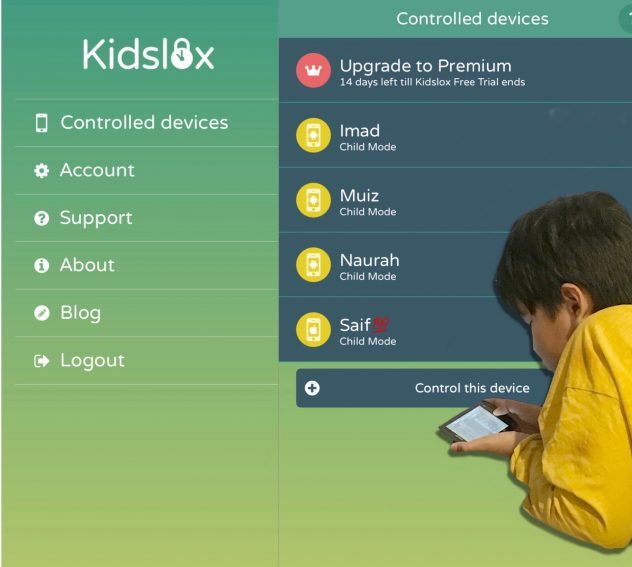 After testing more than 5 different apps within the same category, I found Kidslox. The awesome user interface which makes the whole setting process super simple and easy, catched my eyes. After reading the description on their website, and reviews available on the net, I went to Youtube to watch some videos explaining the background of the project. The 14 days free trial is a huge value respecting parents’ concern that we don’t want to waste money on something that soon appeared to be not as good as we hope. I installed the app on all my kids’ devices including my own iPad Pro to see how it works on iOS. We know how Apple put a lot of restrictions on iOS for security purpose, which makes iPhone and iPad good, in my opinion. But it becomes a challenge when we want to remotely manage our children’s devices. 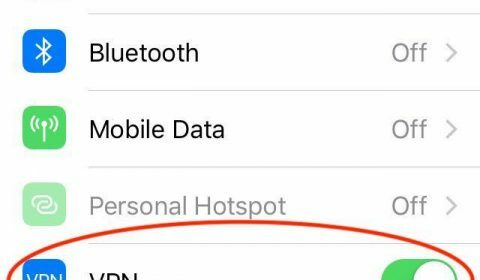 After half day installing the app, I realised that my kid’s iPhone 5s had difficulties to connect to our home wifi, and also to the Personal Hotspot I provided using my iPhone 6s Plus. Both failed. The problem solved when I switched off the VPN and switched it on again. It is a known challenge and Kidslox is working hard to improve it. I hope they will success in developing and improving this issue because it is the main challenge many other apps failed miserably. I switched off the VPN and switched it on again. The phone is then connected. So far so good. I am still using the 14 days free trial period and if the app works well, I will subscribe the premium plan. But, whatever app we use to manage our kids’ devices, the apps must always be taken as tools to assist our parenting, and never to replace us. Communication is essential, so the kids understand why we are controlling their devices. It’s not that we don’t trust them, but the trust is gradually built and gained. Parental control app is meant to help kids and parents develop the trust where the restrictions are reduced bit by bit until none is needed. That is the aim. At least for me and my kids. On the other hand, I can see how a product that comes from a Startup, can be very outstanding since it has gone through many processes from ideation, validation, reflecting human values and how the product can genuinely fill the gap in the market and not simply adding another one. Keep up the good work, Kidslox . I have a high hope on you. Thanks for mentioning Kidslox here Hasrizal. We’re glad you’re enjoying the app! Totally agree with your point about parental control apps being a tool for parents rather than a replacement. It’s so important to talk to kids about the boundaries we set for them and the reasons for those boundaries. Thank you for dropping by. So far so good. I updated some paragraphs in the article regarding the vpn issue on my kid’s iPhone 5s. I wish you all the best and really hope you will become the best solution. If it works on my side, I will suggest parents at our school to also install the app and manage their children’s smart phones. It will significantly reduce the ‘burden’ from the school while we continue to educate the kids to become good citizens on the net. Glad you have posted your findings. I recently tried Kidslox and find it very good but also have VPN type issues when my daughter uses her ipod on the school wifi. We had the same issue with Qustodio and hence me trying out Kidslox. 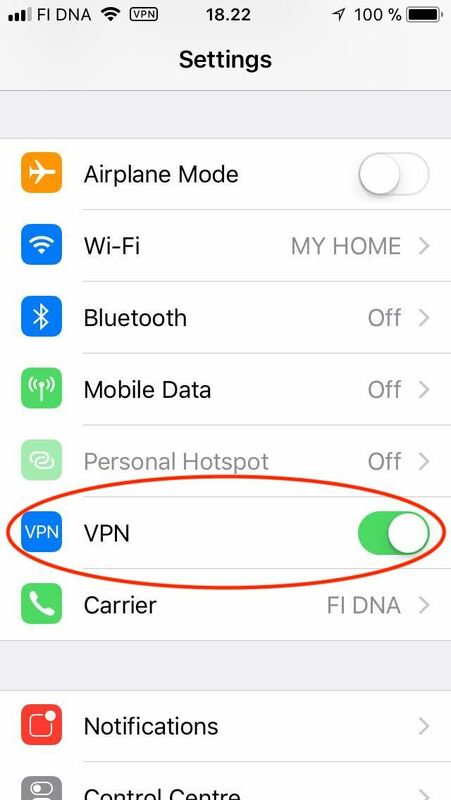 Are you saying that a VPN toggle off/on when connecting will overcome the issue? Jazakallah for sharing this dear ustaz. Appreciate it much! Alhamdulillah.